GC Square, 3535 W. Camelback Rd., is positioned in one of Arizona’s 168 opportunity zones approved at the federal level. 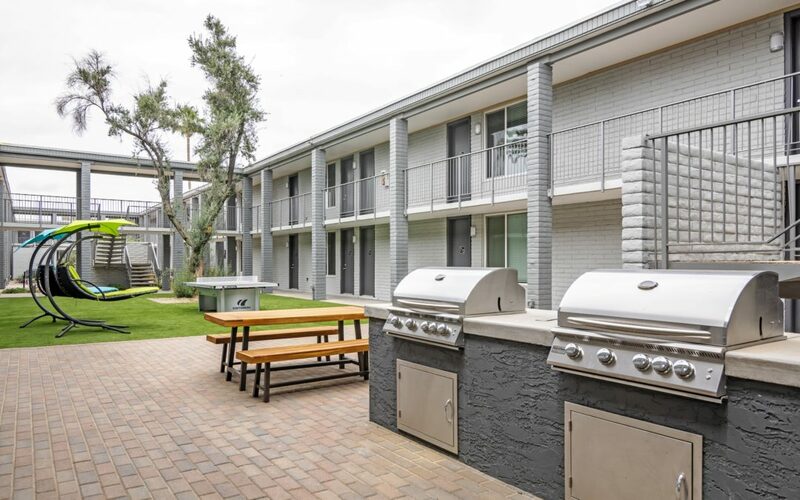 SCOTTSDALE, Ariz. (August 9, 2018) – Caliber – The Wealth Development Co., invested in the community in 2015 with the acquisition of GC Square Apartments, a completely renovated, off-campus apartment community designed for students near Grand Canyon University in Phoenix. With a Tax Reduction Opportunity Fund in its toolkit to attract investors, Caliber is poised to continue investing in the community with additional developments. GC Square, 3535 W. Camelback Rd., is positioned in one of Arizona’s 168 opportunity zones approved at the federal level. It’s an example of a project that can be developed in an opportunity zone. On Wednesday, August 15, Scottsdale-based Caliber will showcase GC Square with tours of the 164-unit apartment project. U.S. Rep. Martha McSally-Ariz., running for the U.S. Senate, will join Caliber President and COO/Co-Founder Jennifer Schrader. “This has been a project of passion to revamp this area and offer affordable, inviting housing for students and people in the community,” Schrader said. 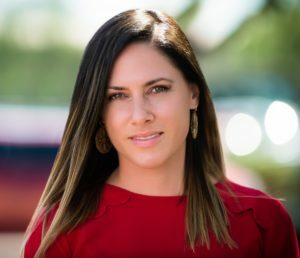 McSally will view the project firsthand and see for herself the before and after as well as review the economic impact of jobs and pride in the community. Opportunity Zones are a way to take advantage of a tax reduction created by the Tax Cuts and Jobs Act. The money must be invested within 180 days for it to be eligible. Investors can re-invest capital gains realized from a sale of property, stock or business to defer paying taxes. As the area continues to grow, so does the importance and impact of GCU and other businesses. Economists report that GCU alone represents an estimated annual economic impact of more than $700 million. Arizona had 168 opportunity zones approved at the federal level, the most allowed by the law. Notable areas that were designated include much of downtown Phoenix, areas around Sky Harbor International Airport and Old Town Scottsdale. According to the law creating the opportunity zones, if investors keep their money in the fund for at least 10 years, there are no taxes on what was earned from the investment, only on the original capital gain used to invest in the fund. These zones represent growth where median incomes fall below the national average. Since acquiring the circa 1972 multi-family property in December of 2015, Caliber’s repositioning of this aging asset into a first-rate community is a project in cooperation with the design team at 3rd Story Architecture. Property transformation required extensive exterior and complete interior building redevelopment. GC Square is a mix of studio, one-bedroom, and three-bedroom apartments. Located one block from Grand Canyon University, it is a gated community with a diverse range of outdoor and indoor amenities. Community amenities include an expansive clubhouse with large screen HDTVs and a pool table, workout room, a clothing care center, business center, resort-style pool and spa, pet-friendly washing stations, BBQ gas grills, outdoor fire pit, movie theater, as well as property access control, video surveillance and alarm system. GC Square is partially owned by the Caliber Diversified Opportunity Fund II, LP, a fund that offers accredited investors the opportunity to invest in “middle market” U.S. commercial real estate assets to build wealth through a combination of current income and capital appreciation.